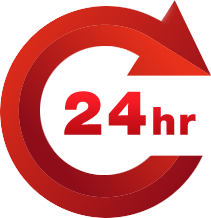 Our 24-hour emergency plumbing service is available to you whenever you need it. We have set a 1-hour response time for plumbing emergencies in Essex, and we aim to take it seriously. We recognise that it's important to deal with plumbing issues as quickly as possible to prevent further damage and to ensure you can keep using your facilities as normal. we offer our emergency plumbing service to all areas of Essex. These areas include; Southend, Hornchurch, Chelmsford, Canvey, Brentwood, Benfleet and many other locations in Essex. Plumber arrived within 20 mins as promised. Fixed the leak in 15mins. Fast, professional service. £180 call out including first hour of work excluding parts. So not cheap, but reliable. Twice in as many months I've had to call them out. Excellent service both times. Would recommend. Drilled through a pipe on a Sunday morning, called ALK and had someone round within two hours, fixed 20 minutes after that. Highly recommend ALK Plumbers. They came to my house in the middle of the night to help me when I couldn't turn the water off and it was spraying out of the toilet. He was really friendly and calmed me down. Thanks again!